Daniel Craig was spotted practicing his speed boat skills at the weekend on a lake in Hampshire. The boat on the photos is a Sea-Doo 150 Speedster speedboat. 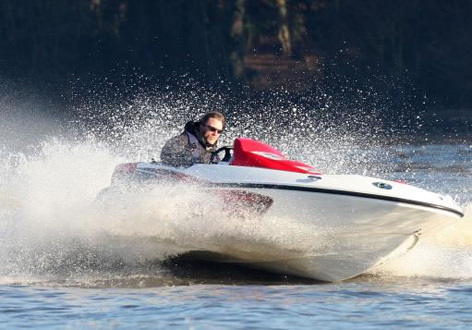 Read more about this speedboat on the official Sea-Doo website here www.sea-doo.com. It is not known if the boat will actually be used in Bond 22, but we can certainly expect a classic James Bond high speed boat chase!